If your rebar cutter is running slow, isn’t moving, or doesn’t have the pressure to cut normally, you may need to bleed the hydraulics. When you invest in a new rebar cutter, you’re making an investment into job progress and rebar cutter efficiency. When well cared for a proper rebar cutter will easily cut any rebar. 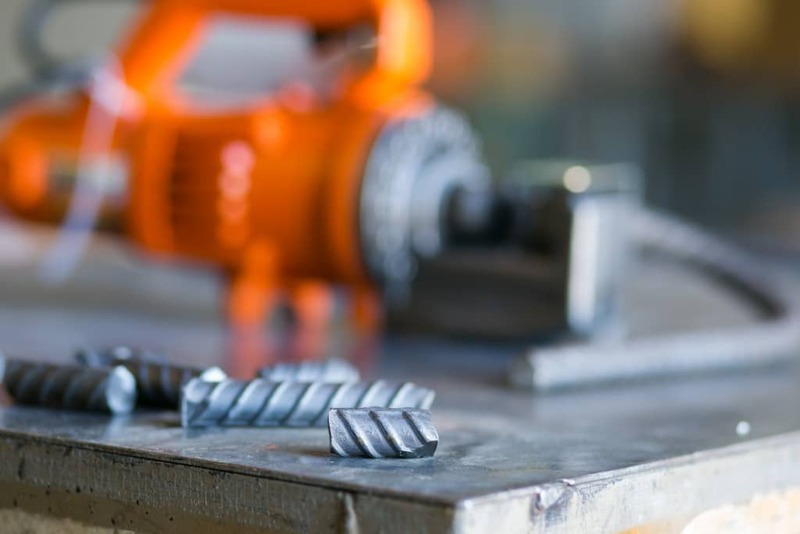 There are certain steps that need to be taken to ensure your rebar cutter works reliably and lasts a long time. It’s important to never use your rebar cutter when the oil is low, which is why you need to know how to bleed a rebar cutter. If the piston is still moving, run the tool for 30 seconds to warm up the oil inside. If the piston is not moving, add oil before warming it up for 30 seconds. When the oil is warm, run the piston out just before it returns, and stop. Remove the oil plug and top it off with oil. Make a seal with your thumb or finger over the oil plug opening. Run the tool so that it makes a complete cycle. When the piston is completely retracted in the open position, gently roll your finger to let unwanted air escape. Repeat steps five and six at least three times. Add oil only when the piston is at least halfway out. If more oil is required, repeat steps five and six. Replace the bolt and tighten it, and retract the piston. Before each use, be sure to warm up the tool for at least 30 seconds. that you observe exactly what point the rebar is actually braking. Pinch a piece of rebar, stopping just before it actually brakes. Remove the oil plug again, and top off the reservoir one last time. Replace the bolt and tighten. The operation is now complete.